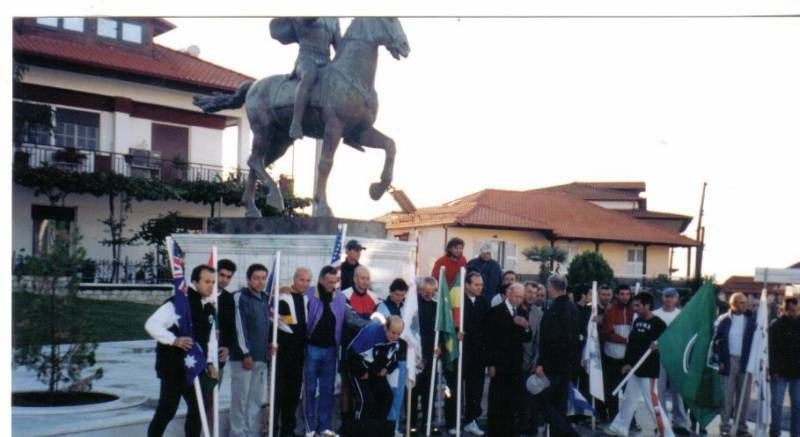 The event is conducted for the 12th time under the auspices of the Municipality of Oreokastro, the Federation (ΕΟΣΜΑΥ), the Group «E» supported from the Macedonian Marathons group in honor of Alexander the Great and Macedonians. That’s why this event hasn’t commercialized as usually happens in some other known events. 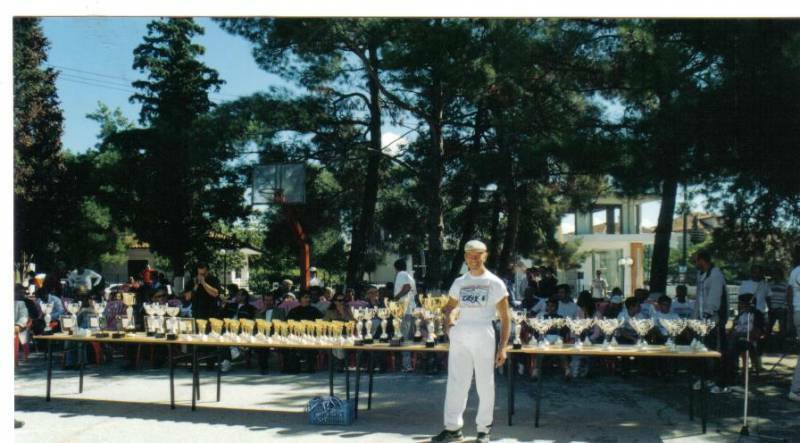 Whoever participates in this event, either as an athlete or a volunteer, offers pure and selflessly honor and love in the ancestral root and the ideals of Athletics and Hellenism. AWARDS : All participants who would be at the starting point will be rewarded with a unique Gold Medal on which the bust of Phillip is appearing and a unique fold, regardless of whether or not to terminate because of any problem. 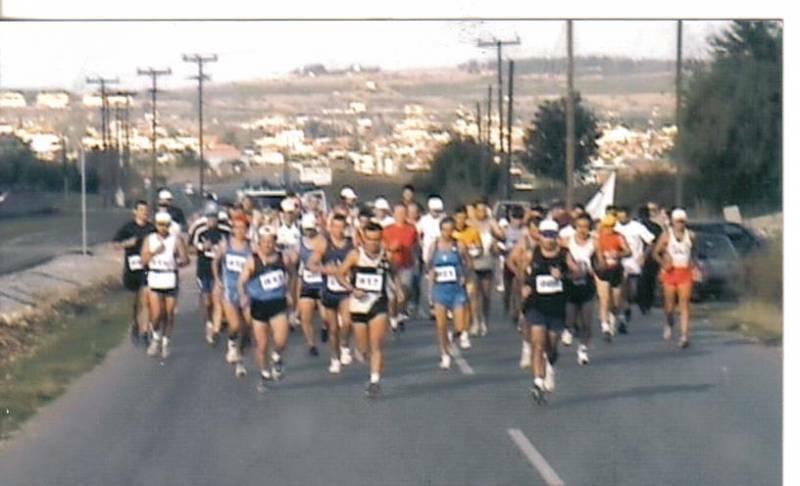 LONG-DISTANCE RUNNING EVENT: The winners (1St man and the 1St woman) of each category will be rewarded with a gold metal and a cup. Each category changes per10 years. MARATHON: The winners (the 1st man and 1st woman) in the overall standings will be awarded with a cup. The 1St man and the 1St woman of each category (per 5 years) will also be rewarded with a cup. Categories: 18-34, 35-39, 40-44, 45-49, 50-54, 55-59, 60-64, 65-69, 70-73, 73-76. The winner in the overall standings is also the winner of his/hers category but he/she will be rewarded only as the winner of the Marathon. His/hers category will not replaced by the second winner of the category. Every participant of the Marathon will also have a meal after the rewards who will be at 14.00 o’clock. If there won’t be any participant in a category of the above until 20th September this category won’t exist. HOTELS in OREOKASTRO: ΤΑΝΙΑ Τel. 2310 574966, NOUVELLE, Τel.2310-686546, GALAXY Τel. 2310-697588-696142, LIONS PALACE Tel. 231 2315251 (If you contact with Lions Palace inform them that you are coming for the Marathon so you can have better price because it is more expensive that the other), and every hotel in Thessaloniki. Suterday 28.09.2013 : From 12.00 until 18.00Folders Delivery (Numbers, Programme etc.) of the Greeks. For those who are coming for the first time there will be a schedule/map 15 days before the race that will be sent to each participant along with a certificate of participation. 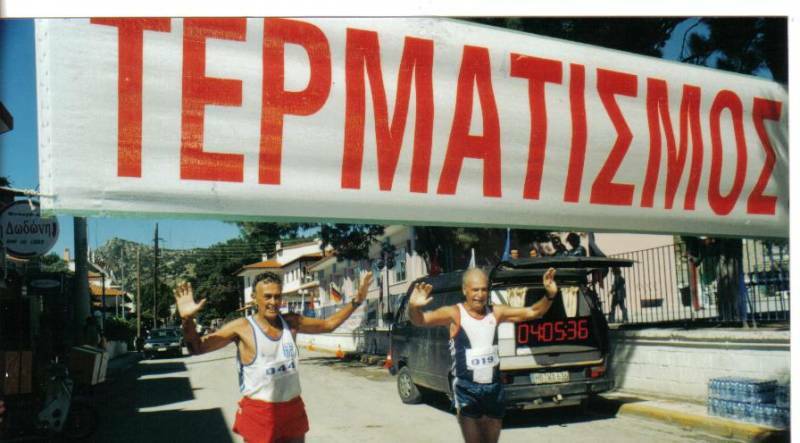 07.30 – 08.30 a.m. : Folders Delivery at the starting point (municipal swimming pool of Oreokastro) only for those who already are registered deadline. Ο8.45 a.m. : Update path and information about both races. For any questions you can contact with anyone of us, by phone or e-mail, or with your team-mate and friend Mr. Aristotelis Kakogeorgiou. Current Address……………… ………………………. Postcode ……………….… .……..
← ΠΡΟΚΗΡΥΞΗ του 12ου Μαραθωνίου (Πέλλα – Θεσσαλονίκη – Ωραιόκαστρο) και του Λαϊκού προς τιμή του Μ. Αλεξάνδρου και των Μακεδόνων.